Growing up in Omaha wasn't necessarily glamorous. In 1980s, Omaha was opening a new freeway on one side of downtown and tearing out a million square feet of gorgeous warehouses—the single largest loss to the National Register of Historic Places—on the other. The egregious acts of the 80s became the built environs of the 90s. And Omaha, simply put, was a place you left, not a place you lingered. Then came 2001, when everything began to change. An organization called Lively Omaha was formed, which would go on to catalyze an incredible urban renaissance within Nebraska’s largest city. In fact, Omaha By Design, as it is now known, inspired me to pursue my career in planning and design. Through their tireless environmental and urban design work, Omaha By Design has restored the elegance of the prairie landscape, implemented a form based code, and empowered neighborhood after neighborhood to realize their own visions. 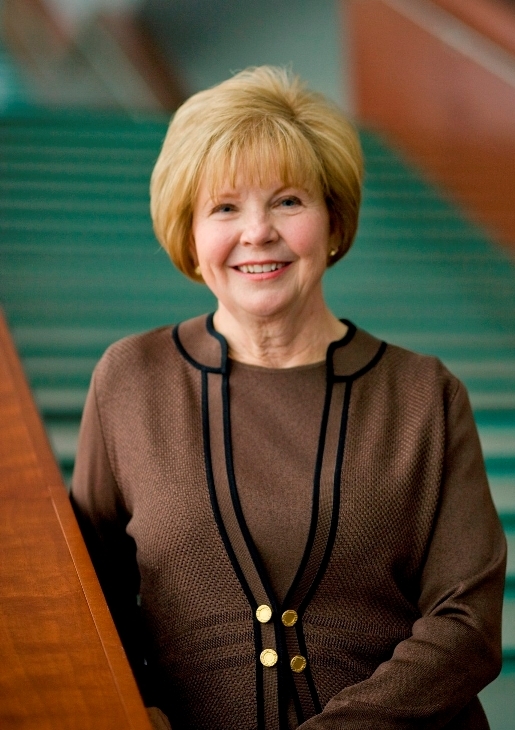 Today, Omaha is one of the most liveable communities in the US—a distinction for which Connie Spellman and everyone else behind Omaha By Design deserve much of the credit. Omaha by Design has been something of a pioneer in working with Placemaking at a citywide level. Can you tell us a bit about how your work in this field got started? The Omaha Community Foundation (OCF) was first introduced to Placemaking when PPS came to town as a consultant for the National Park Service (NPS). The NPS was interested in building its new regional facility on Omaha's riverfront, which was beginning to experience a revitalization. As part of that process, Fred Kent suggested hosting a Place Game Workshop, so the city partnered with the OCF to help organize the event and get the right people to participate. At about the same time, OCF had commissioned a report, Above All Others on a Stream. The consultant summed up the comments from over 75 donors interviews with the five words they wanted Omaha to be: smart, significant, sparkling, connected and fun. That threw everybody for a curve, because, in the late ‘90s, those weren’t terms you’d use to describe Omaha! That led the OCF to create an initiative called Lively Omaha [which became Omaha by Design in 2003] to begin working toward making those descriptors a reality. I was hired to lead the initiative. The original idea was to transform Omaha into the "City of Fountains," even though Kansas City had already become known for its fountains. I guess the idea was that Omaha was going to do them one better; but I didn’t really think that fountains would get us the outcomes we were shooting for. I started looking back over the process that led to the initiative’s creation, and that's how I personally discovered PPS's work. The rest, as they say, is history. 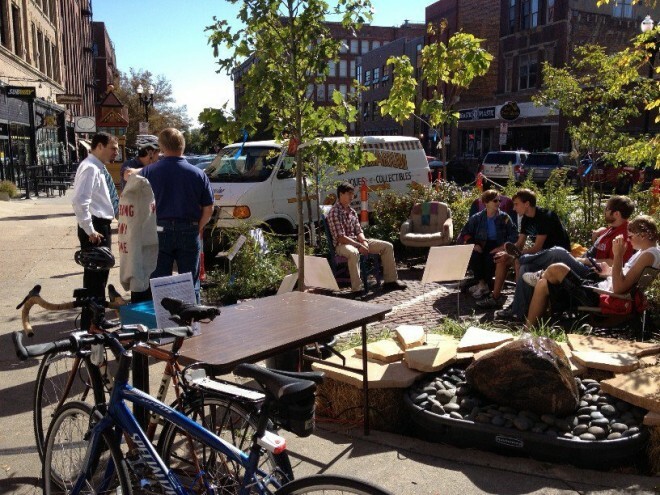 How did Placemaking help you to re-orient the work you were tackling? It sounds like it helped to crystallize something for you. I wasn't familiar with the term “Placemaking,” at least not at first. The parts that captured my attention were the ideas about public space. Public space, to me, was a park, or a road; I had a very limited understanding about what the term "public space" meant. Realizing that public space is basically everything except your home or business was a very eye-opening experience for me. And because some of the people at the OCF had gone through the Placemaking workshop, I started asking them about what they did and how it was organized. And that eventually led to your organization conducting Place Game Workshops all over Omaha; several a year? I went to one of the Placemaking trainings in New York right after I got hooked, and then we worked with PPS to create our first website, which we had for six years. Then we invited PPS to Omaha to train local residents to become Place Game facilitators so we could start doing more of these games around Omaha. It was a great way to start helping other people open their eyes and see the city in a new light. We’ve done more than 70 Place Games during the past 11 years. The amazing thing is that quite a few of the facilitators who attended that first training session with Fred are still volunteering with us today. We’ve had new ones join us as well, so we’ve got a half dozen that still love to lead Place Games. How has the organization's work and scope changed over time? And what role has Placemaking played in that evolution, if any? The attorney's response was essentially, 'Fort Collins has design standards, and we build to design standards and local politics.' That led to Lively Omaha conducting a lot of research about design standards. We talked with City of Omaha officials, and while there were components of urban design in the master plan, it was not a major element. So with the support of our advisory committee and the leadership of our founding donors, we decided to begin broadening our focus by working on an urban design plan for the city. Our donors helped raise about $750,000 to hire Jonathan Barnett with WRT in Philadelphia and Brian Blaesser with Robinson Cole in Boston to create a comprehensive urban design plan for the city. That was passed unanimously by our city council in 2004. 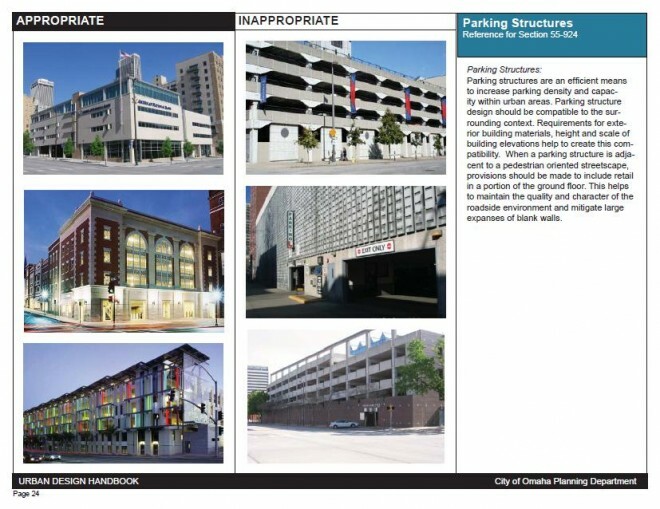 Of course, we all recognized that just because it’s in the master plan doesn’t give the urban design plan the effect of law, so our donors agreed that we needed to work to get the new design standards codified. That took us two years, and we were able to get major changes to the existing city codes passed—unanimously, if you can believe that—by the planning board and city council, with developers at the table. What is Omaha by Design working on now? Right now we're transitioning to becoming an independent nonprofit organization. 2011 was our 10-year anniversary, and that was when the OCF (which originally thought this was going to be a three-year pilot project!) and our original donors suggested that we were ready to start thinking about striking out on our own. After we reached out and determined that the community wanted us to continue on as an independent organization, we spent about six months going through the process of figuring out what that means and creating a vision statement, mission statement and business plan. If there was any organization pursuing something we were doing, we eliminated it. But there wasn't much overlap; we’d always been focused on something very different from what other nonprofits were doing for the city. I think that's why we continue to be supported. Our mission today is simple: we’re dedicated to improving the way Omaha looks, functions and feels. We facilitate partnerships among our public, private and philanthropic sectors to carry out projects that will improve the quality of our city’s built and natural environments. All of our projects stem from recommendations outlined in the urban design and environmental components of Omaha’s master plan, which we helped develop during the past decade. We also monitor the local environment for adherence to policy changes resulting from these visioning documents and stand ready to act on activities that threaten to undermine their validity. Ultimately, we’re successful for two reasons. First, we have the incredible support of our community leadership. That allows us access to the resources to make this work, and it's been the direct result of a lot of coalition building we’ve done over the years. The second reason is the people who do the work; 99% are volunteers. They give willingly of their time, talent and resources. Some of the people who attended our very first meetings have kept with it all the way. Without them, we would have been a three-year pilot project that came and went. Omaha by Design is lucky to work in such a generous community; it makes great things possible.